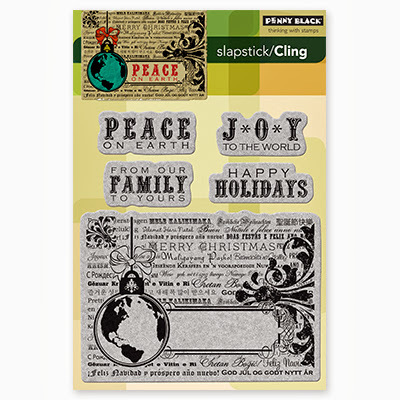 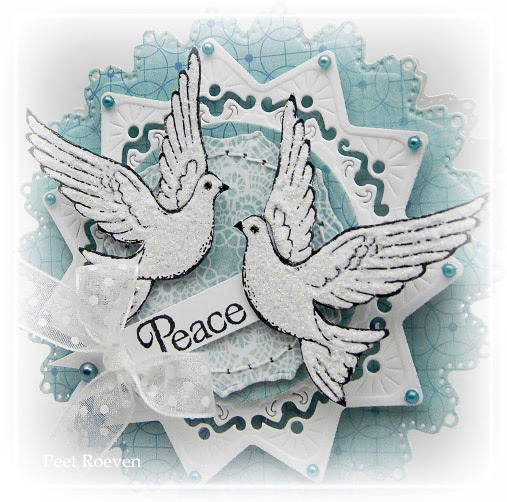 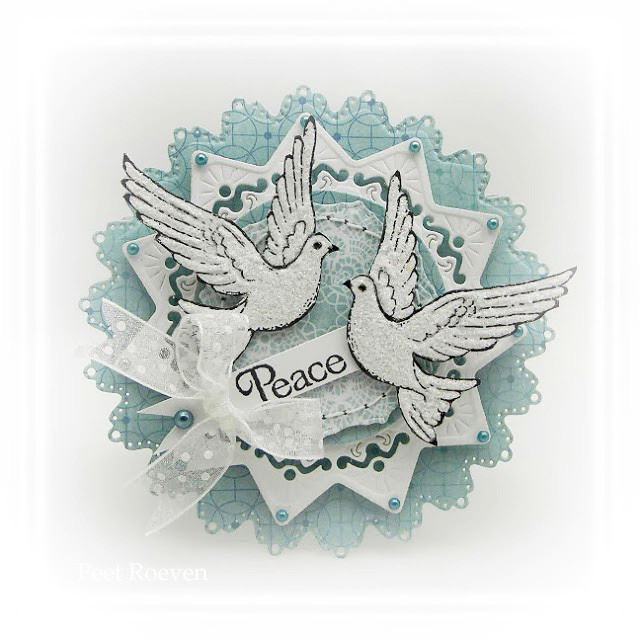 Penny Black Stamps: Peace and Joy & Yuletide Greetings (sentiment). 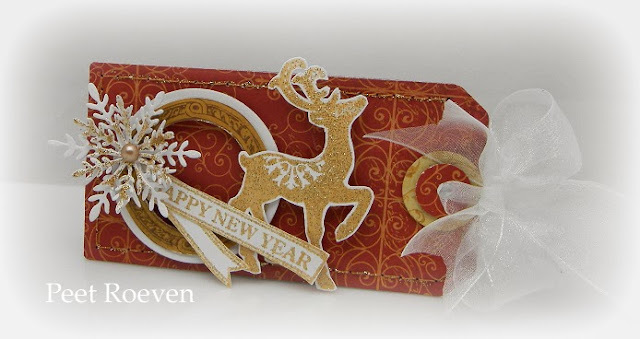 Eline's Cake Slice box Template. 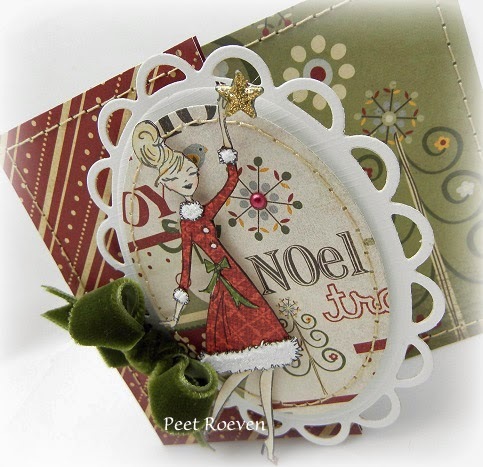 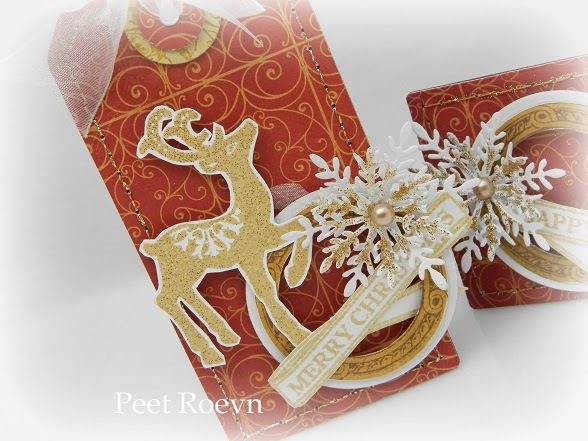 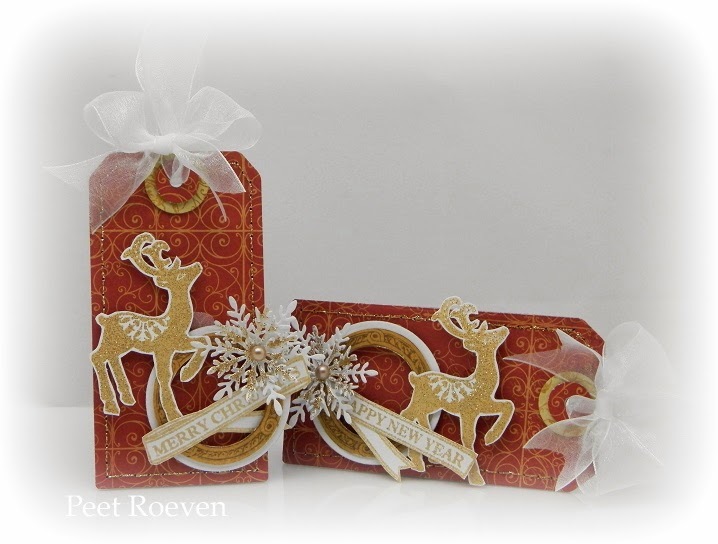 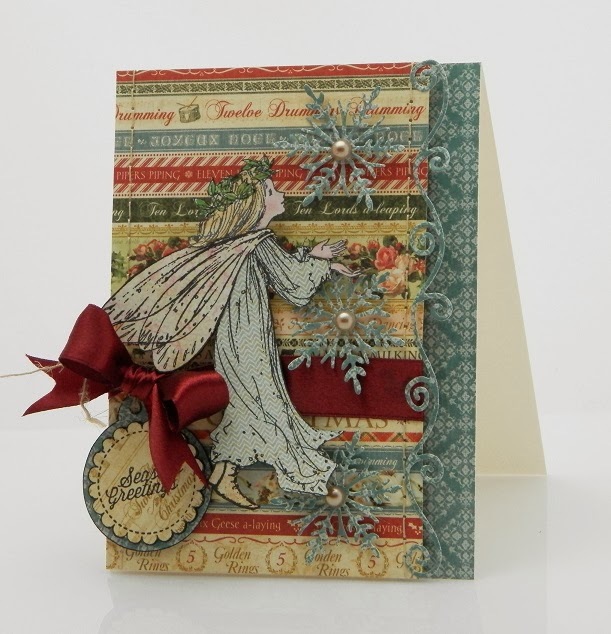 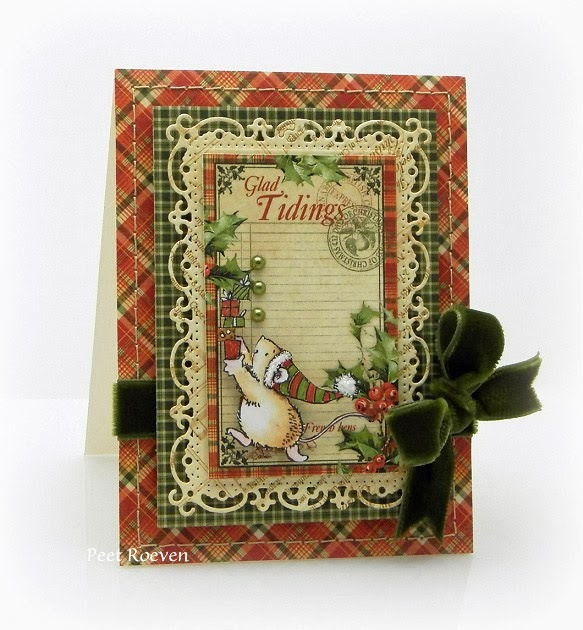 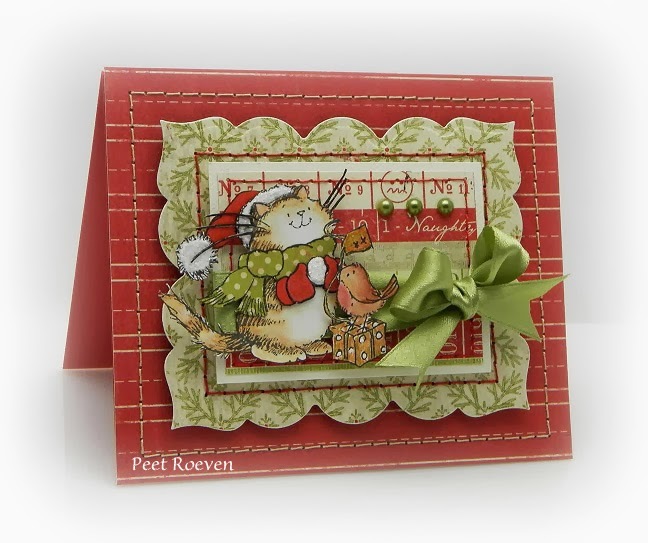 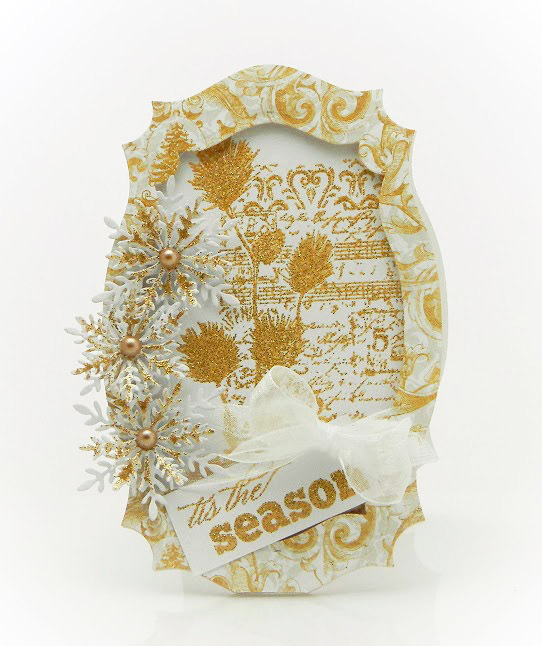 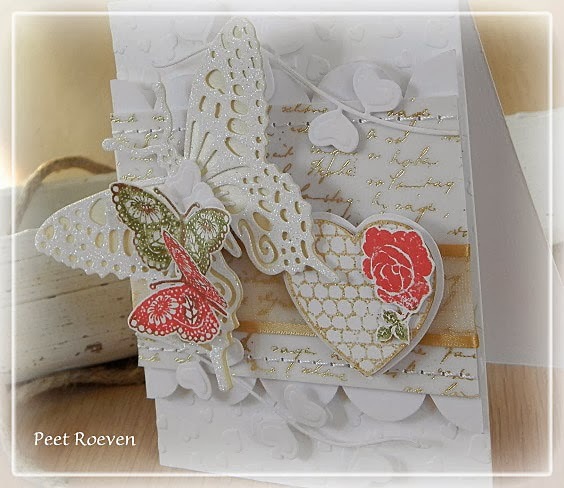 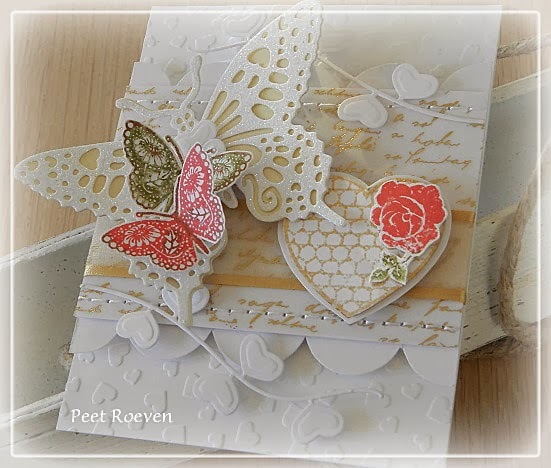 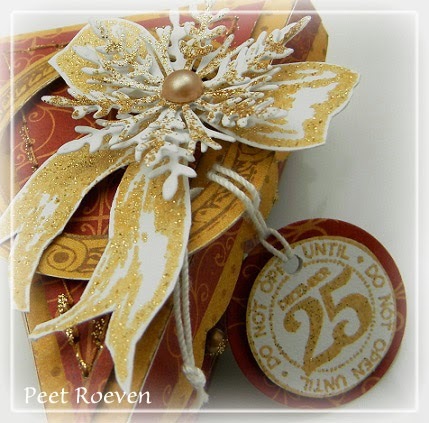 Penny Black Stamps Ornately (bow), Christmas Tags (sentiment) & Snowflake Trio Creative Dies. 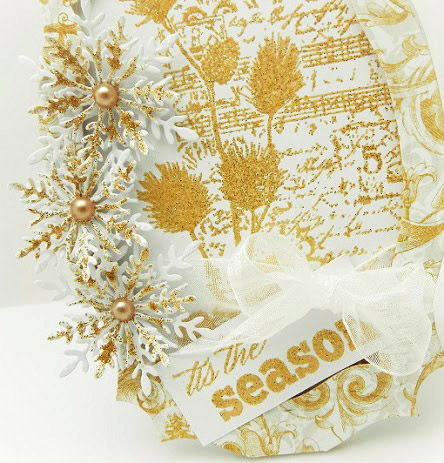 Versamark Watermark Ink and Gold Sparkle Embossing Powder, Pearls, Gold Glitter glue, Spellbinders circles, Silver & Gold Paper from BoBunny. 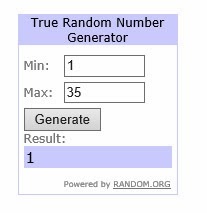 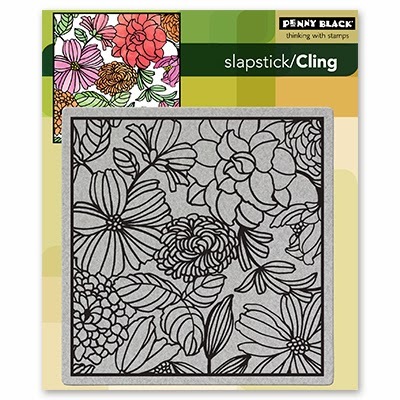 For a change to win these Penny Black stamp sets, just leave a comment on this post. 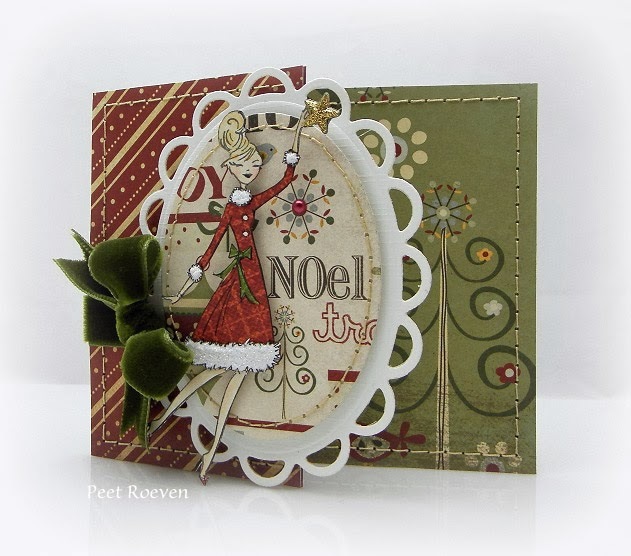 Closing Date: Sunday December 1th. 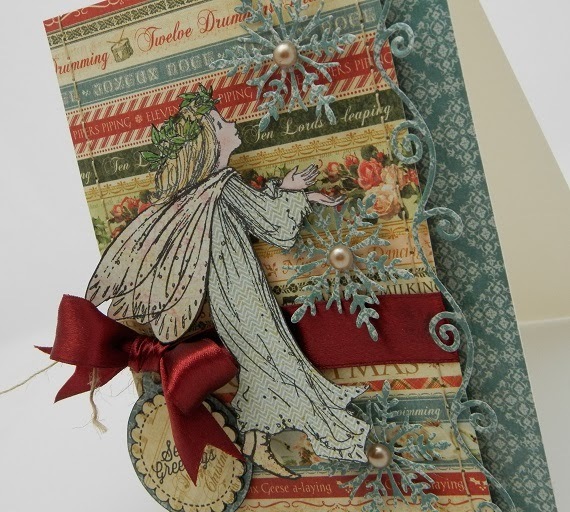 Faber-Castell Polychromos, Derwent Coloursoft, Glitter Powder, Green Pearl, Spellbinders Captivating Squares, Swiss Dots Cuttlebug Embosing Folder. 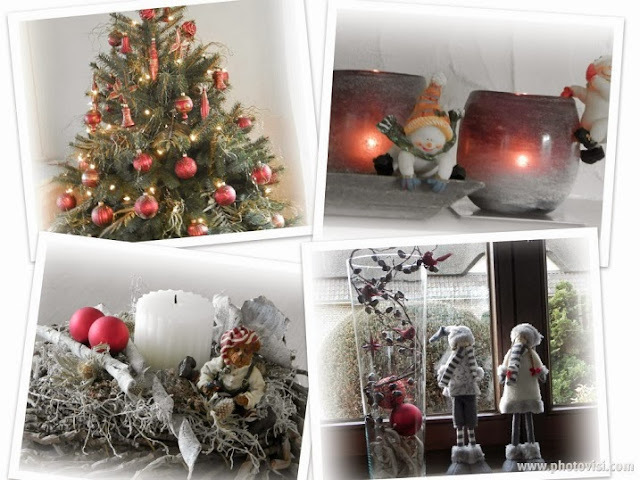 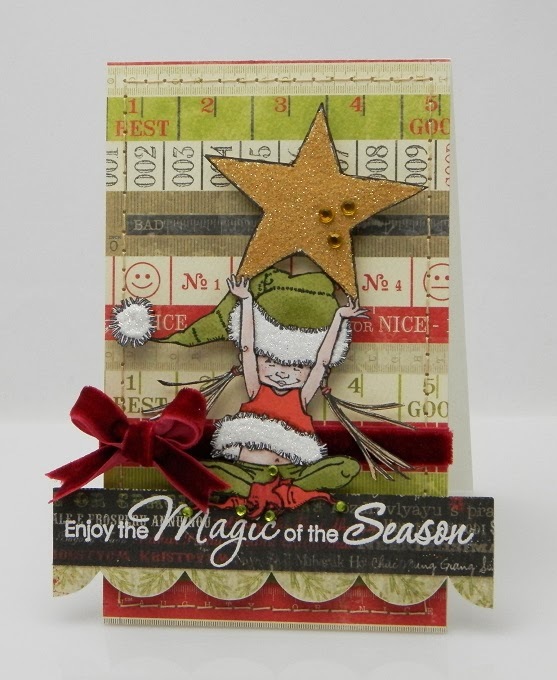 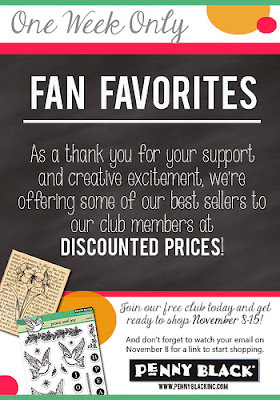 Stamps: Magic of Christmas & Christmas Tags.